Well, the same is true for gelato shops – gelaterie – in Rome (and throughout Italy). Whenever you stumble upon a gelato shop claiming artisanal gelato (with a big gelato shaped sign just outside of the shop), or bragging all over about their homemade gelato or own production, stay away from it. 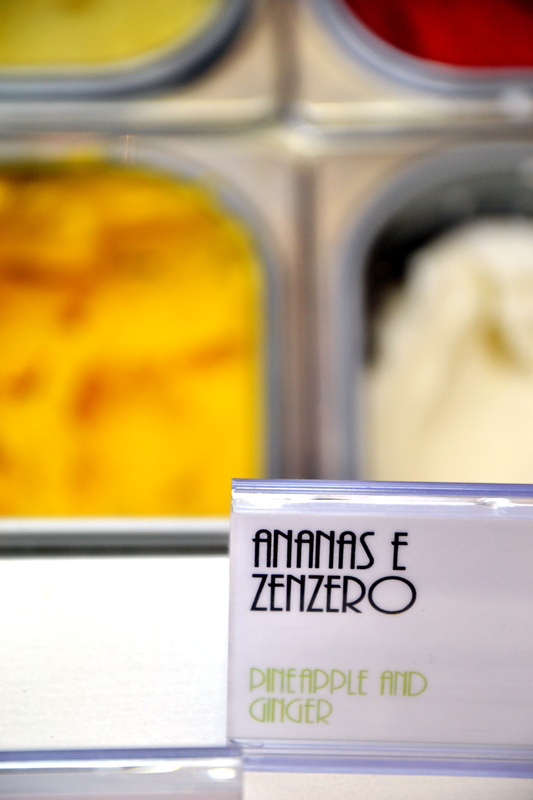 If you see shops with big signs of BEST GELATO in town, look away. 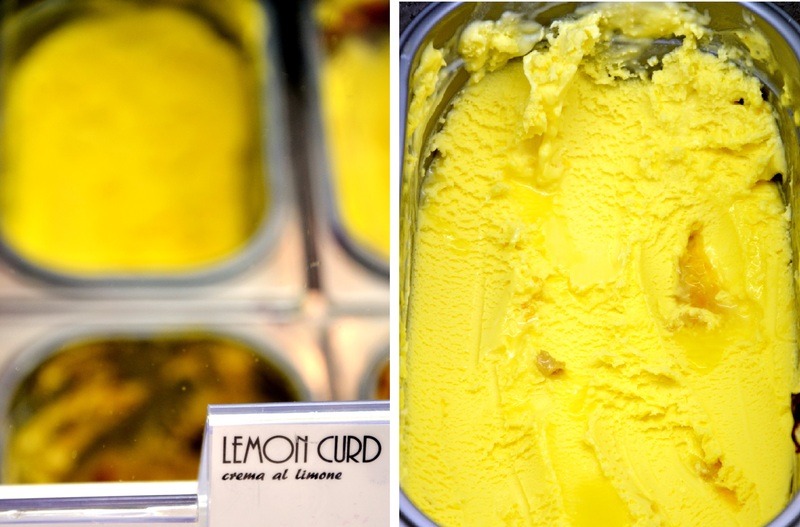 If you enter a gelateria with puffy bright colored gelato bursting out of their metal containers, I suggest you to not enter into temptation! 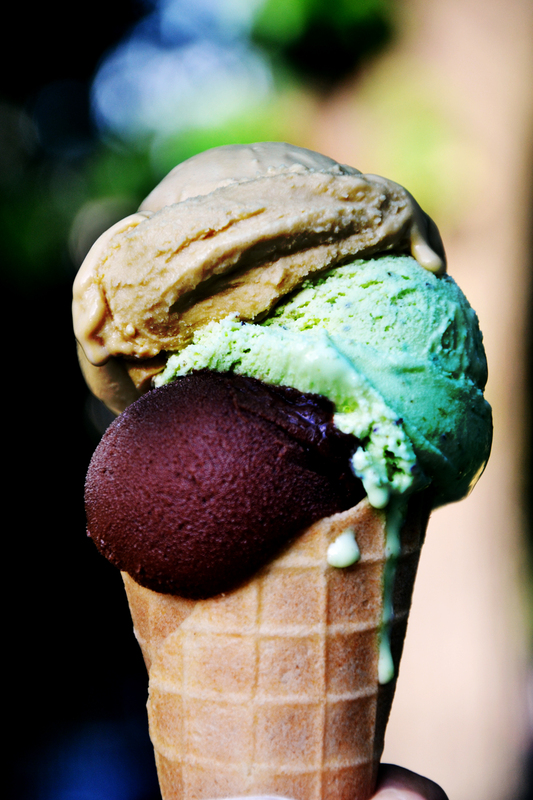 Most of these gelato shops use artificial ingredients such as flavor powders, artificial coloring and chemical additives. It is all fake. But before I go into more details, head over to Katie Parla’s blog and read her post on gelato shops in Rome, where you can find the most reliable information about food, restaurants and gelato in the Eternal City. 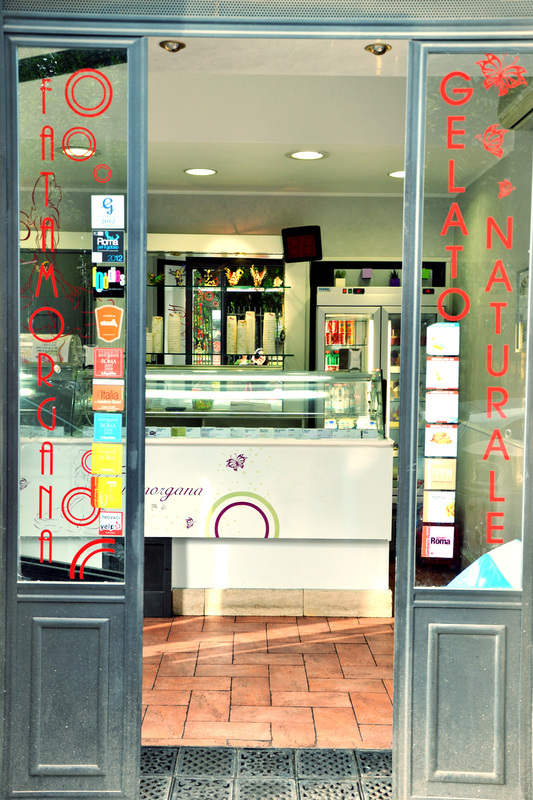 As far as natural gelato in Rome, I discovered Fatamorgana during one of my many trips to Parco Nemorense, a small, quiet park located within my neighborhood. 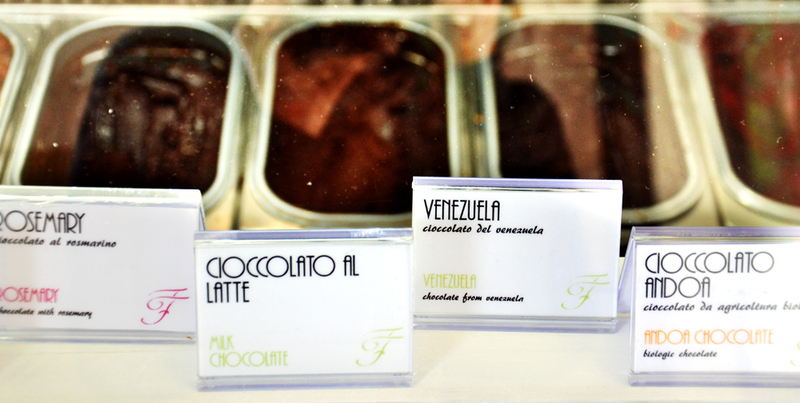 During my first visit to Fatamorgana, I was not only impressed by the unique combinations of flavors (walnut-rose petal-violet flower gelato, celery-lime gelato, cherry tomatoes and habanero chili, or chocolate with wasabi), but with the fresh and real taste of its gelato. Indeed, a couple of years ago, a friend of mine – who suffers from celiac disease – recommended me Fatamorgana since its gelato was gluten free. Therefore, if my friend with her condition consumes it without hesitation, you get the idea how trustworthy this place is. 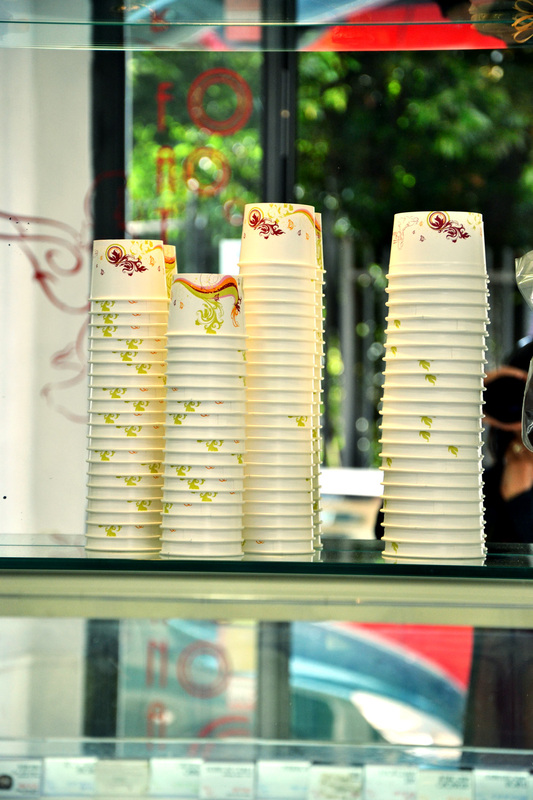 Far Right – Ginger cream, chestnut honey and lemon. Thumbelina- Nuts, flower petals and violet flowers. 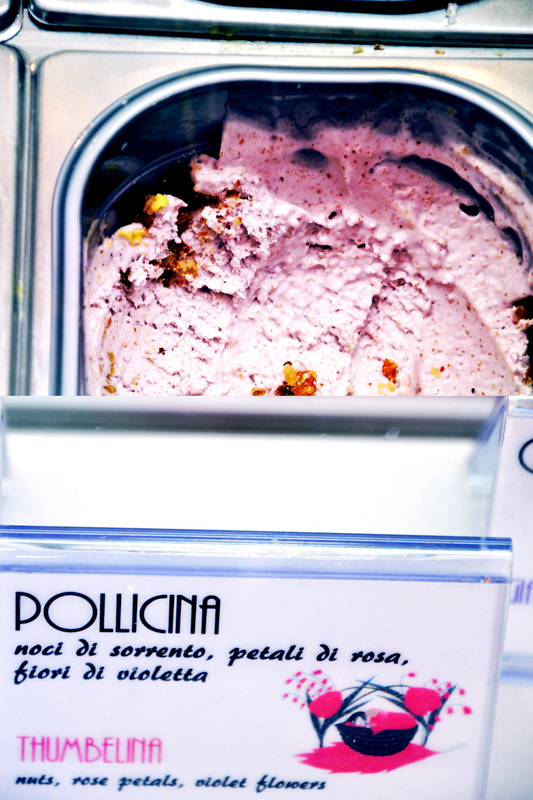 A gallery of gelato with three scoops of different flavors: raspberry, mango and blueberry. Baklava gelato? That sounds amazing and all the others look wonderful too! Yes Baklava!!! doesn’t it just sound delicious? AS ALWAYS EVERYTHING LOOKS DELICIOUS!! 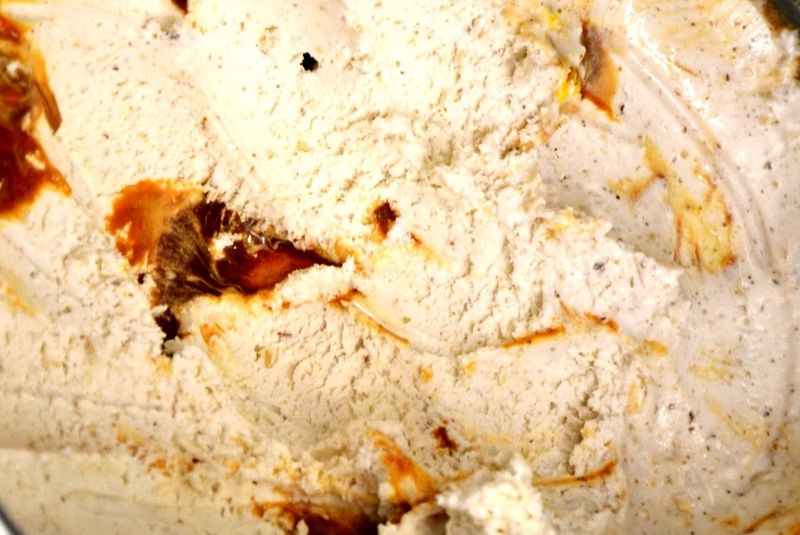 Oh my yes – I love proper ice cream from. So vibrant! It is one proper, delicious ice cream!! “Simply Gelato” is a misnomer as a title for your post … I loved reading your post, by the way, and am myself a big fan of Katie Parla and her code of conduct in matters alimentary. So it’s not the content, nor the reference, nor the fact that the Fatamorgana makes good ice cream that irritates me. What ‘bothers’ me … is that the ice cream in question is just NOT Italian … none of the ingredients are. 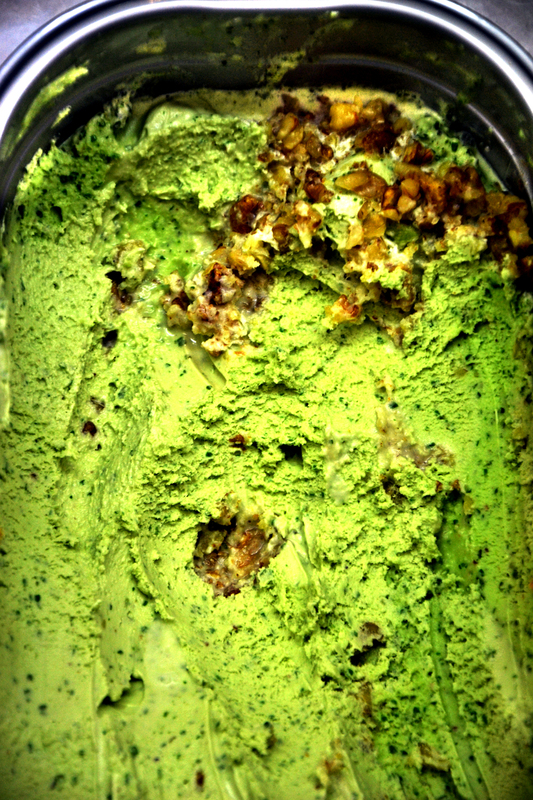 Ginger … bakhlava … basil …celery lime (!) … what IS Italian about this ice cream? Nothing at all … You started off the post by describing someone who likes to show off … and that is what Fatamorgana comes over as to me … wanting to impress … and succeeding too, by the sounds of it. Hats off to their quality .. but please don’t call it “gelato” … it’s “ice cream”. 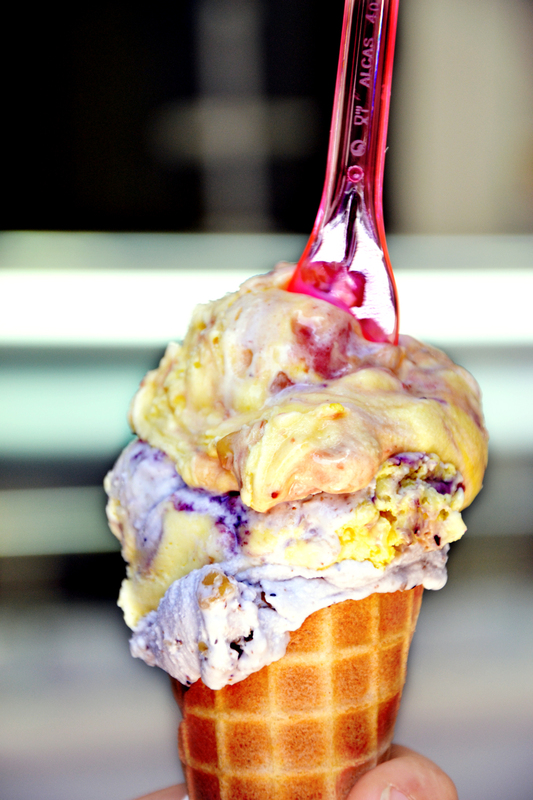 Gelato is about Italian fruits and ingredients (pineapple is not Italian) …. Hi! Thanks for visiting my blog! 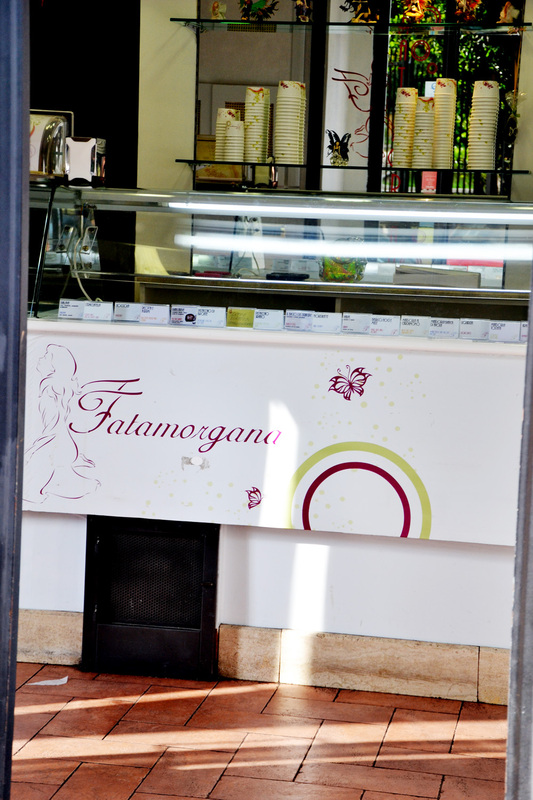 I think Fatamorgana does offer a lot of gelato choices, including those classic Italian flavors such as pistachio from Bronte, Gianduia using Hazelnuts from Piemonte, strawberries from Terracina, cherries from Vignola, tomato datterino from Sicily. They also use Italian products such as Mozzarella, Parmigiano, Gorgonzola, Percorino cheeses as main ingredients for their flavors. Since I wanted to portray the modern and creative side of the Fatamorgana Gelateria (what really makes them different from others), I practically presented the non-Italian side of it. However, that doesn’t mean that their gelato is not Italian. Indeed, the basis of Italian gastronomy is the use of fresh, seasonal ingredients from scratch, which is their method of producing gelato (which differs from ice cream by method of production). Furthermore, I have never seen an Italian gelateria that does not have chocolate or coffee flavors as choices (ingredients used in a lot of traditional Italian preparations). Are coffee & cocoa beans grown in Italy? Not really. Thanks for stopping by!!! Ambrosina : esto se ve de muerte lenta!!!!!!!!!!!!! me muero por probarlos! Cuando venga a Roma la llevo!!! Gelato definitely varies from shop to shop is what we learned from our time in Rome (and Italy as a whole). 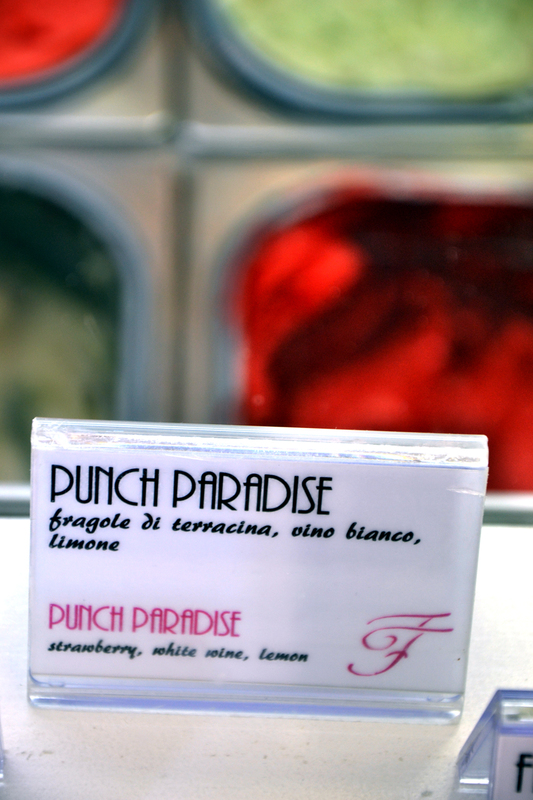 My most memorable gelato stop? The Gelateria del Teatro which I had read about in others’ blogs before our trip — and then experienced their melone which was my favorite simple gelato flavor from the entire trip. It does vary from shop to shop!! I have heard of it (Gelateria del Teatro) but I have not tried it yet!! Thanks for stopping by! Those pictures look so good! Thank you Agi!! They were really hard to make, especially considering that lighting in the shop was not the best! Wow! They are incredibly original and they look so good! Yes, they are and I have never seen them throughout any other gelateria in Italy! Have you ever met someone who does not love gelato? I haven’t! 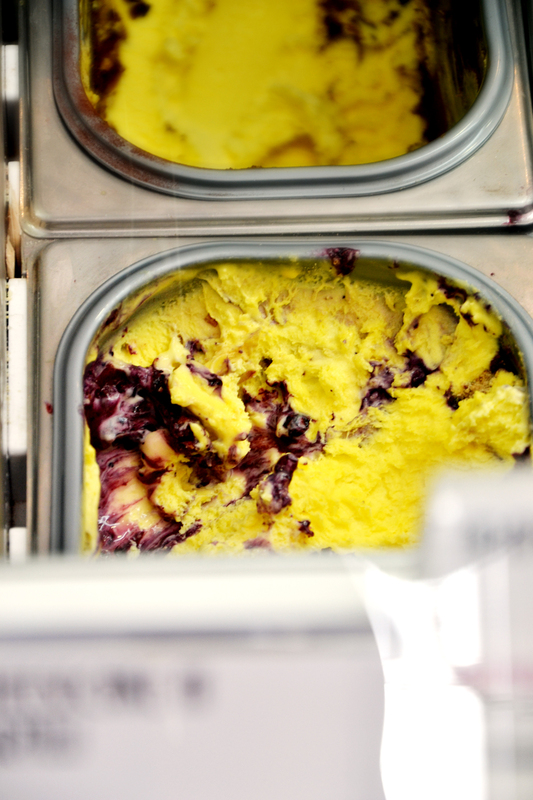 Unfortunately, dyed gelato is present in a lot of gelato shops throughout Italy!! You just have to be careful and avoid these places and go to the right ones!! Katie Parla’s Blog is a very reliable site for avoiding tourists traps! While we were standing in front of all the varieties for almost 15 minutes, it was a tough call to choose from all these delicious combination of flavors!! your blog is absolutely wonderful! such a beautiful shot! where is the location? Thank you!!! That is very kind of you! This was shot in Rome! I completely agree about looking for the ‘quiet achievers’ when you want to source great gelato. Like you, I have a friend who is a coeliac so we always asked if the gelato was senza glutine. I learned that if it wasn’t then the gelato was always ordinary. 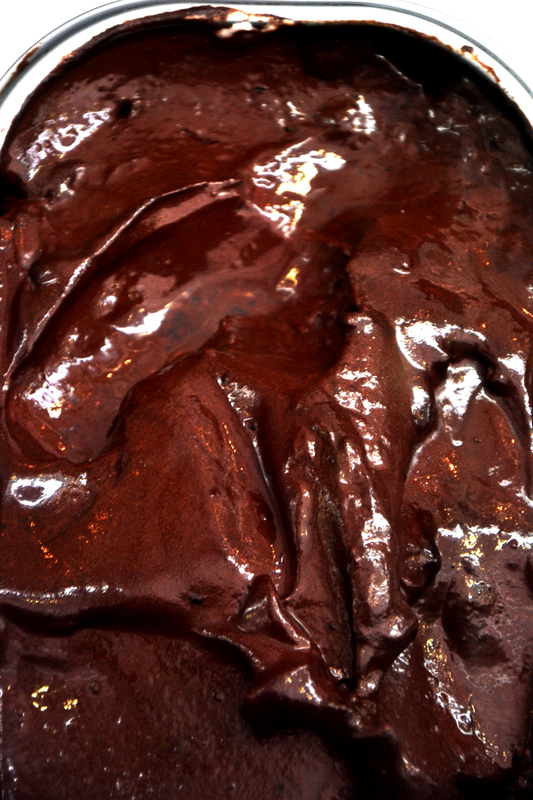 Senza glutine was the key to most delicious gelato. Good gelaterias do mot need to brag about their quality with flashy signs with “gelato artiginale” or “best gelato in town”. Thank you for visiting!